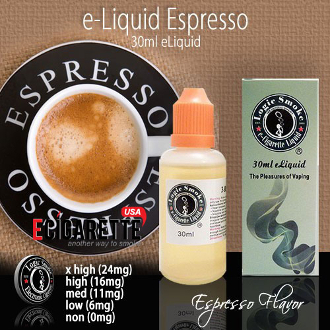 Logic Smoke Espresso E-liquid is the flavor for you if you’re looking for the flavor punch of an espresso shot without the caffeine. You will be amazed at how closely this flavor resembles a shot of espresso. It is also wonderful if you add one of our sweet flavors like Chocolate or caramel. Pick up a bottle today and invigorate your senses.